I've been quiet. I feel like things are in a transition period. I've been working towards my goals while simultaneously feeling overwhelmed by them. I've been drowning in information overload and realizing my need to refocus and reevaluate in order to achieve my goals. I wrote an entire blog post (that I never published) about how I was going to start transitioning this blog over to my personal training site blog www.leagendersfitness.com. It is a terrifying prospect because this blog is established and runs on its own. I get a steady flow of monthly page views without much effort, while my new site requires constant attention and doesn't yet have the audience like this one. The idea was that it is too hard to run two blogs/websites in my not-so spare time so I would be more productive if I just focused on one site. But honestly, I've been busy (truth: Pinterest scrolling) and haven't been working much on either site. I ultimately decided that I needed this blog for a personal outlet as I would prefer to keep my personal training blog more professional. (aka I can whine and complain here. You don't mind, right?) Not to mention that Ollie's fans need to see more of him. 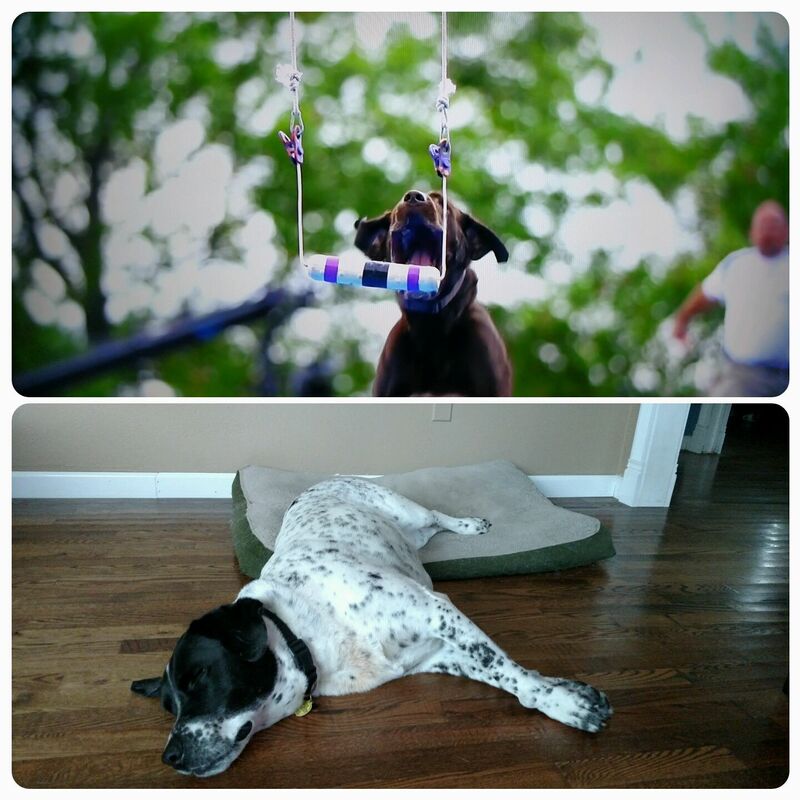 Top: Champion dogs breaking records on TV. In other news I started teaching an indoor beginners' body weight boot camp at a new local studio in Hurst called Comcardio. This is exactly the step forward that I was working towards. The com in Comcardio is community. It is a community-based, low-key fitness studio. They opened their doors less than two weeks ago and it is the perfect opportunity for me to build a class from the ground up. I am excited about my future with this studio and growing as a group fitness instructor. 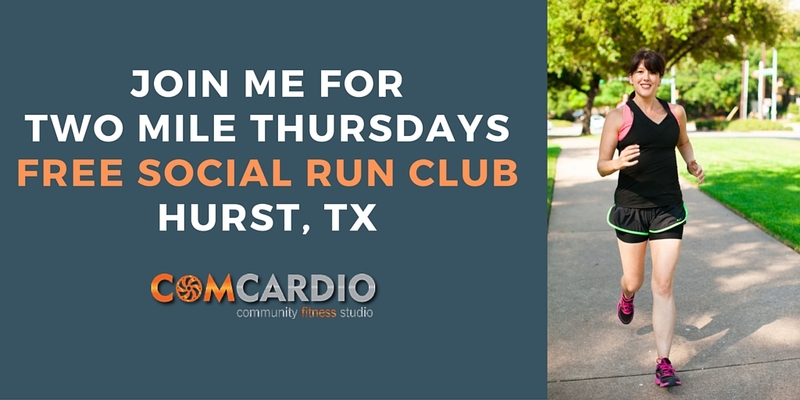 I am also leading a free social run club that meets at the studio on Thursday evenings. It's a fun way to bring together some local runners and raise awareness about the new studio, while getting some use out of my RRCA running coach certification. Speaking of running coach certifications, I teamed up with Jason Karp of REVO2LUTION RUNNING to take his running certification course. As an ambassador, I received the course material and test for free in exchange for blogging and social media posts about my experience. I am not quite ready to take the test yet (it is that not-so spare time problem again) but so far I am impressed with the content. He explains the science behind running with a clarity I haven't seen before. I will go into more detail in a blog post once I pass the test, but I am enjoying the course so far. I am also going to be leading a (hopefully) huge community workout in Dallas for Premier Protein in May. It will be a fun outdoor event with great Premier Protein swag (yoga mats, backpacks, hats). More details to follow as we nail down a location. I am both nervous and excited about this opportunity. This blog post started out on sort of a negative note as I expressed how I was feeling a little overwhelmed and underachieved in regards to my goals, but as I laid out the things I am working on, I realized that I am moving in right direction. I have positive things in the works. I need to refocus on writing and blogging, but things are progressing. THIS is why I love blogging and I could never give up this creative outlet. So that's what's new with me. What is new with you?